The salt that exists in the sea is, in proportion, the same as that of our body; in our blood, in our sweat and in our tears. Through the salt we are connected with the sea as the origin of life. Our lives depend on the sea. The sea is also the link to our ancestors and the history of the earth and its humans. 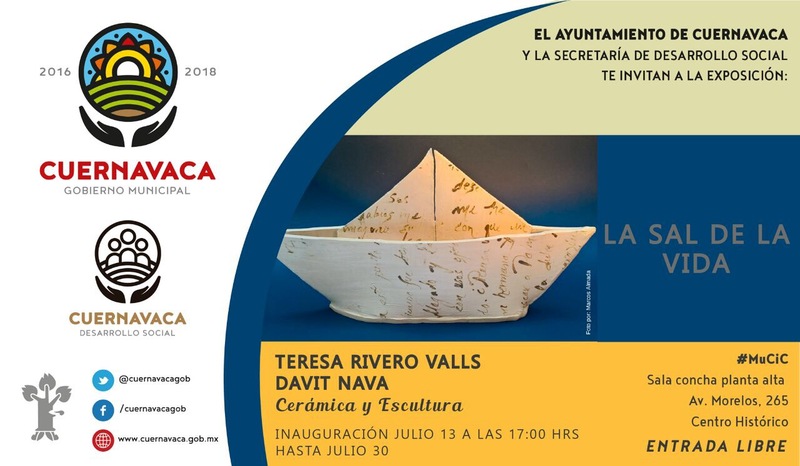 The collective exhibition La sal de la vida – The salt of life emphasizes the importance of the sea as the essential factor for life. Erizos, ceramics by Teresa Rivero Valls. In the paper boats, made of ceramics, Teresa is including the love letters of her grandparents. Environmentalist and artist. Waste and post-use material is Davit’s main source of raw material for creating art. 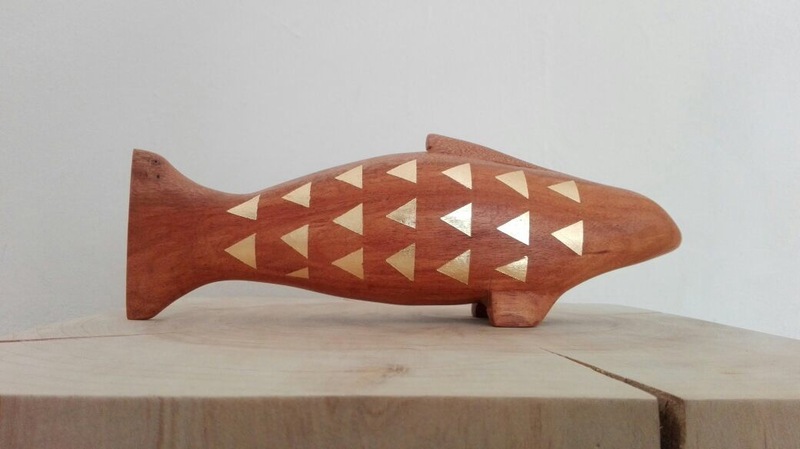 Pez, sculpture in post-natural-disaster wood by Davit Nava. Cuernavaca Centro, 62000, Cuernavaca, Mexico. The opening of La sal de la vida – The salt of life is at 13 July at 5 pm. The exposition will be open until 30 July 2017. The Museum is open from Tuesday to Friday from 10 am to 6 pm and Saturdays from 10 am – 3 pm. Free entrance.